The truth is, I am writing this article about the importance of wisdom teeth while all of mine have been extracted. They have been gone for years. I am pretty sure many of yours have been long gone as well. I didn’t know any better. We trust our dentists to do the best job possible while often not even questioning their methods. I should’ve questioned and should’ve researched myself. But now I can share my research and finding with you so you can make the decisions for yourself and not just listen to your dentist just because he tells you so. 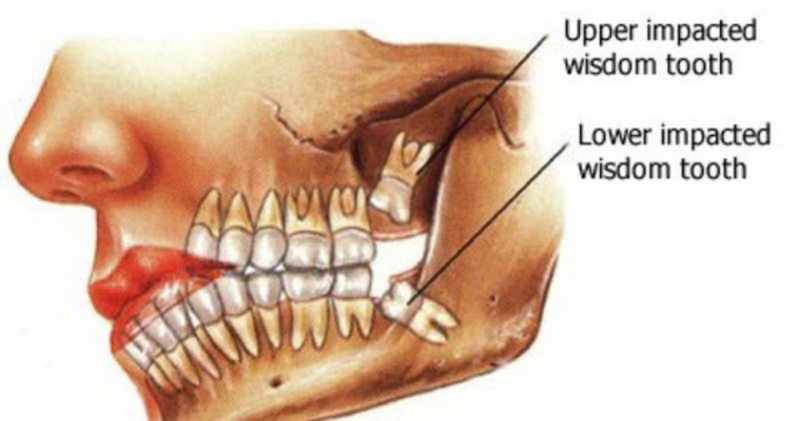 Many of us have been told that wisdom teeth need to be extracted just because they are not really needed. According to the dentists, they are just unnecessary teeth that just inconveniently crowd out mouths. Wisdom teeth, also called the Third Molars, are the furthest back teeth. They usually come in when you are in your late teens or early twenties. According to a report published in the American Journal of Public Health, more than 67 % of preventative wisdom teeth removals are unnecessary. Out of 10 million wisdom teeth extractions in America each year, only 20 proved to be necessary. You have to understand that the old tale about wisdom teeth causing all kind of illnesses, is simply not true. Let’s look at it realistically, it’s a big money maker (around a billion dollars a year) for the dental industry. I highly recommend reading his fascinating and eye-opening book Nutrition and Physical Degeneration. In fact, 46 percent of the motor and sensory nerves in your brain’s cerebral cortex are interconnected to your mouth and face. So any time a tooth is removed, it disturbs and breaks anacupuncture meridian that flows through the area of that tooth. 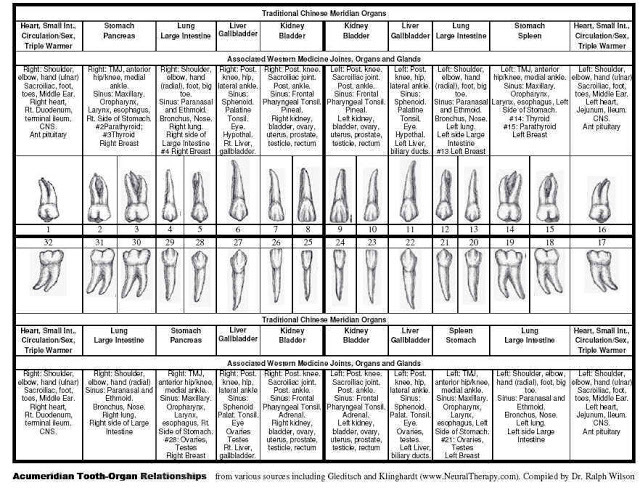 The meridian acupuncture system, known in Traditional Chinese Medicine for more than 5000 years, shows the vital relationship between your teeth and your joints, spinal segments, vertebrae, organs and endocrine glands. So for all these reasons, I do not recommend removing wisdom teeth unless there is a good reason to do so. According to Jay Friedman, a California-based dental consultant, more than two-thirds of all wisdom tooth extractions are medically unnecessary, and that most patients would be perfectly fine if they just left their wisdom teeth alone.